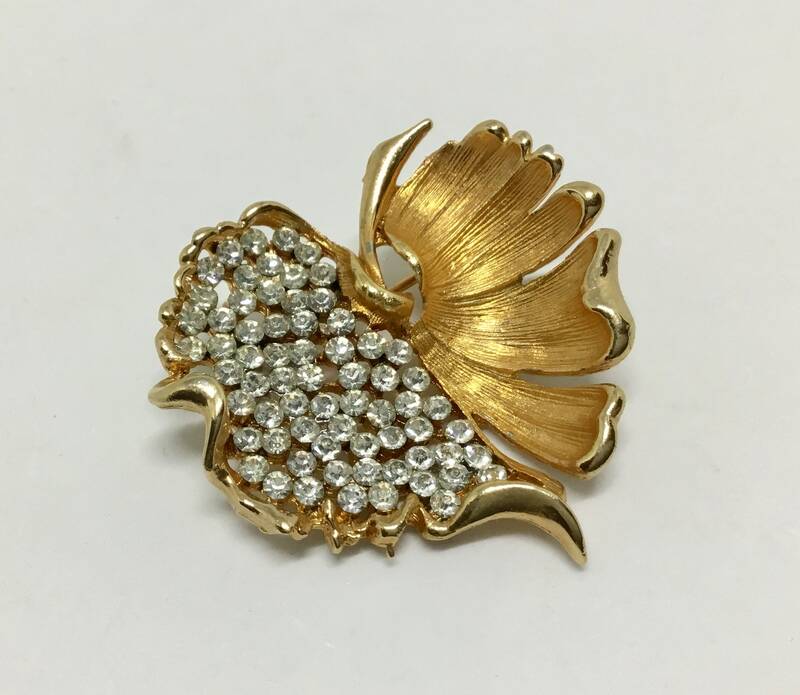 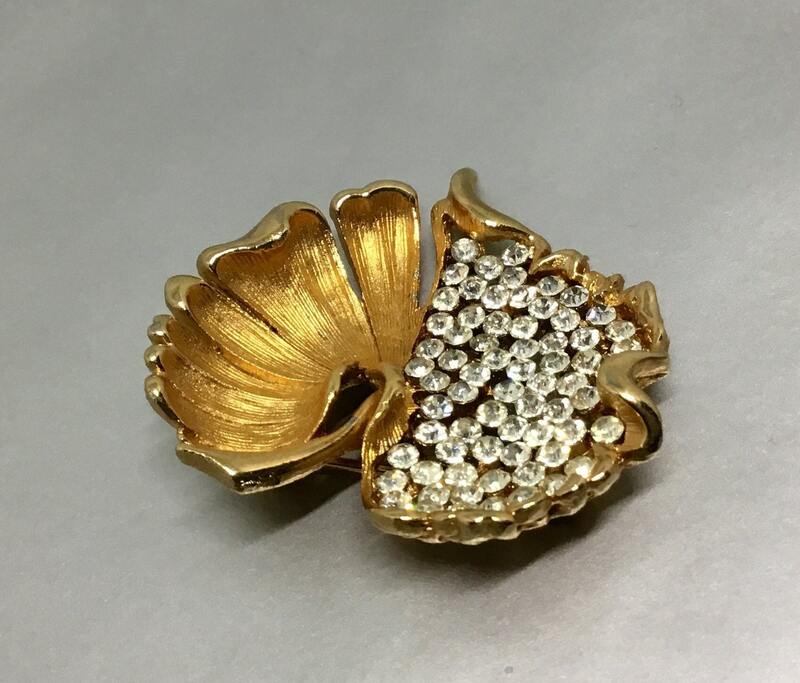 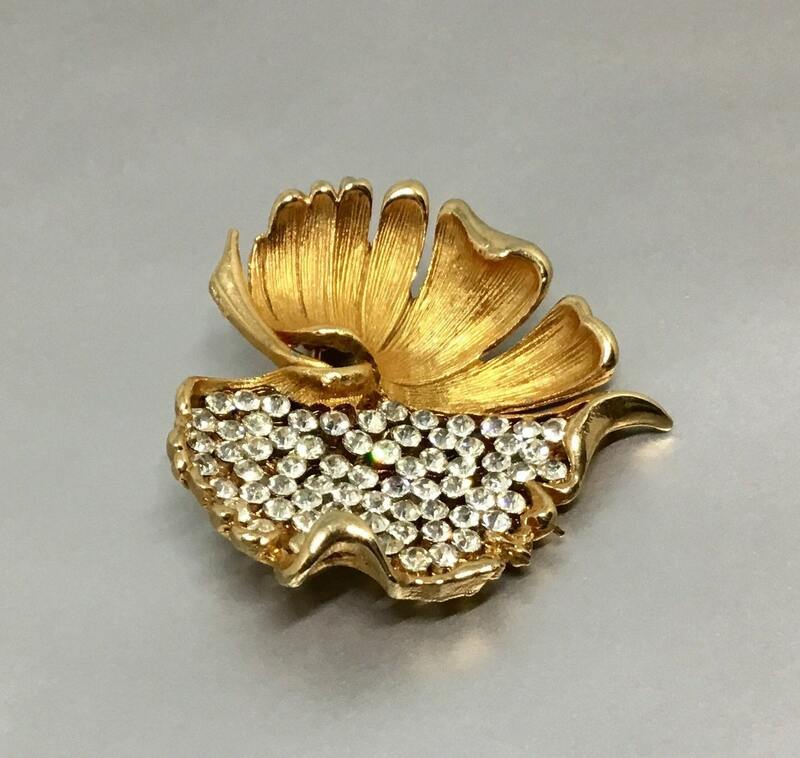 This is a darling vintage 1950s/1960s goldtone BSK signed rhinestone leaf brooch. 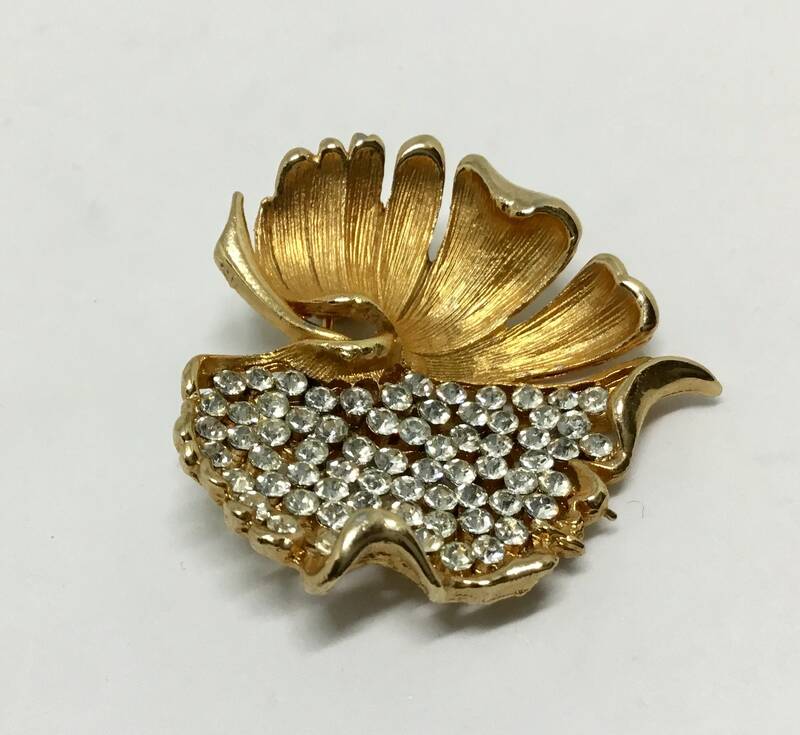 The leaf is a rich brushed goldtone with the edges curling up. 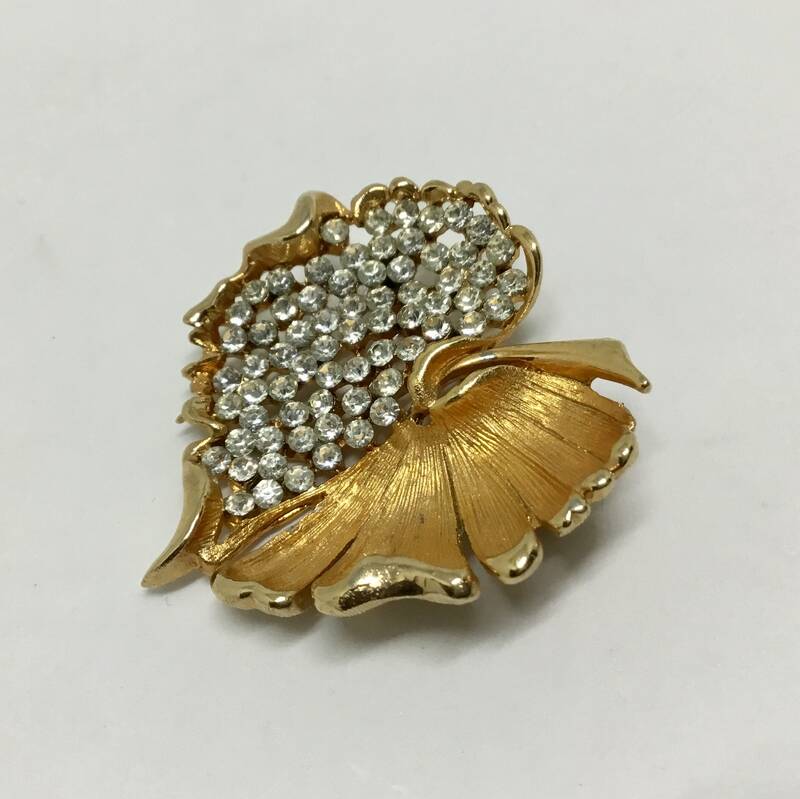 One half of the leaf is the detailed goldtone and the other half is encrusted with small sparkling clear rhinestones. 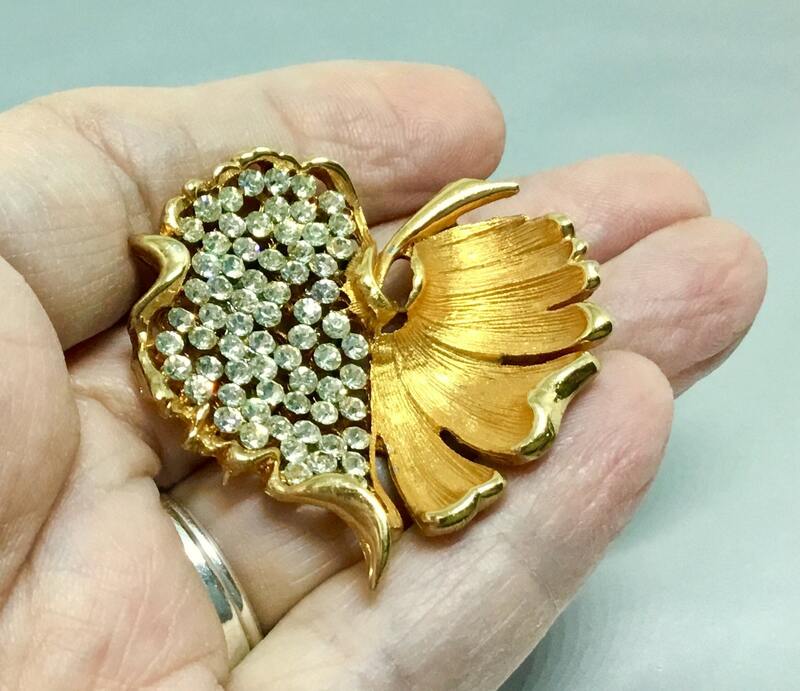 The space between the rhinestones is open work goldtone so it really let’s the light in to emphasize the rhinestones. 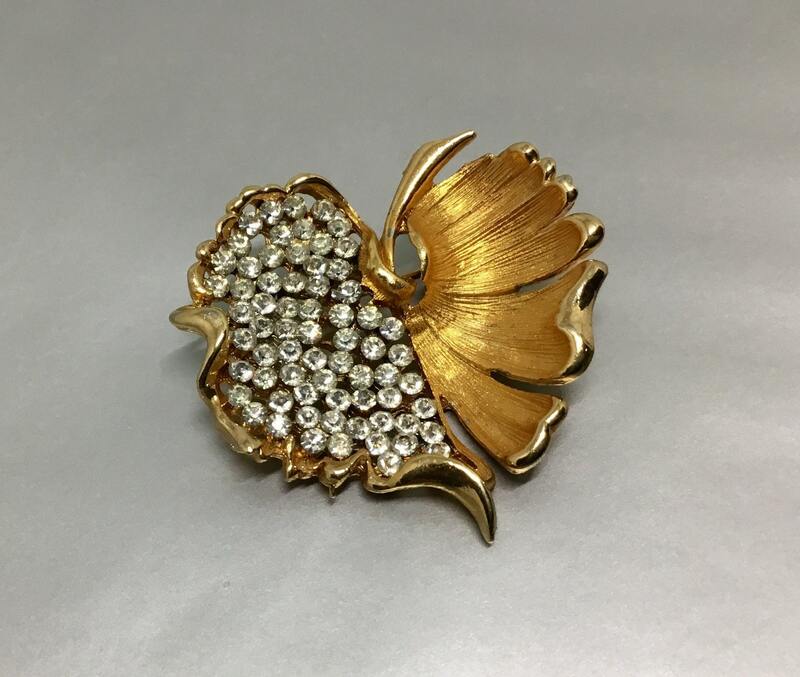 It measures 1 1/2” x 1 1/2” and the pinback is straight and works smoothly and securely. 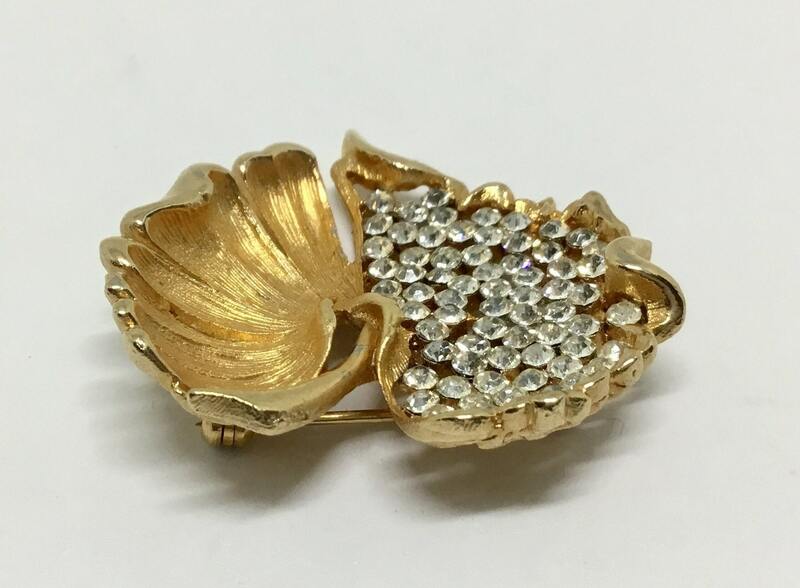 It is marked on the back with “BSK©️“. 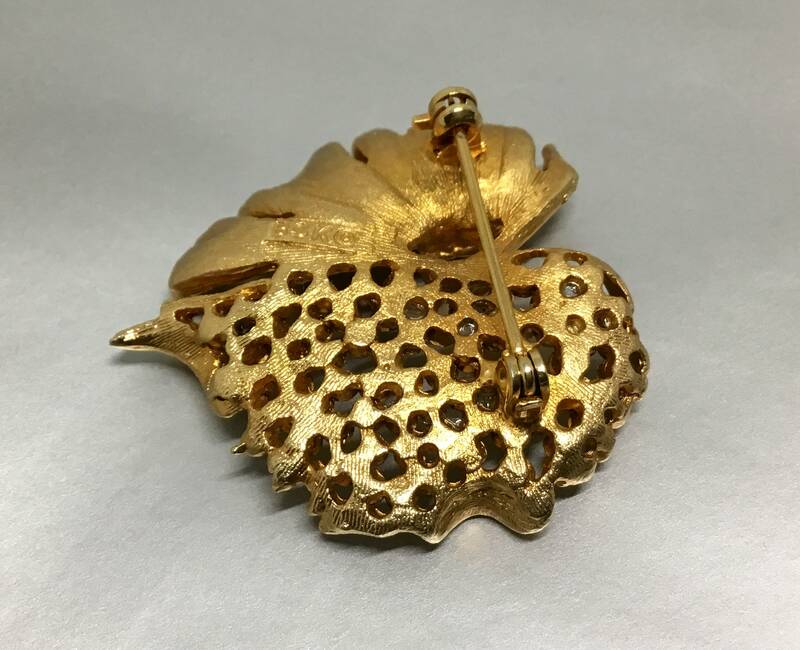 A sweet sparkly leaf brooch ready to wear on a lapel, sweater, or jean jacket pocket to look fabulous!